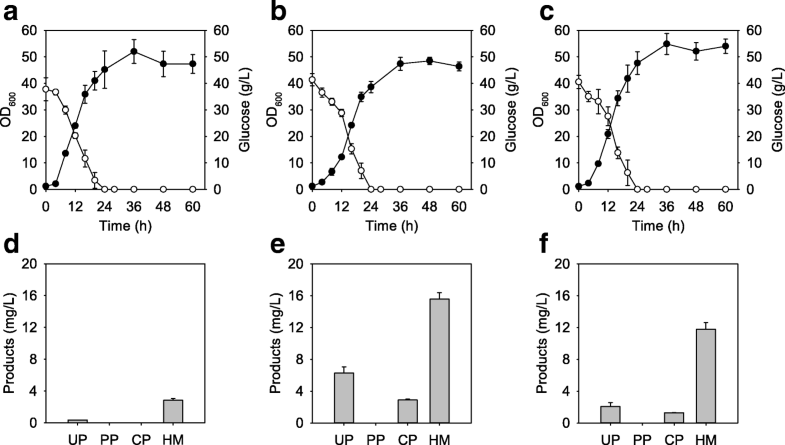 The push and pull strategy is one of the logical tactics to produce targeted materials and it has been used in many biosystems such as Yarrowia lipolytica , Saccharomyces cerevisiae  and E. coli . Briefly, ‘push’ means the overexpression of enzymes that are recognized as bottlenecks in pathways and ‘pull’ means the overexpression of terminal enzymes. This strategy minimizes target genes overexpression for the efficient production of materials. Overexpression of essential enzymes, rather than all of the related enzymes, avoids metabolic burdens and excessive use of antibiotics . Moreover, it is more important in the heme biosynthesis pathway because the enzymes related to this intricately regulated pathway influence the mRNA expression levels of one another . In the case of E. coli, the overexpression of hemD upregulated almost all of the enzymes in the heme biosynthesis pathway. Conversely, the overexpression of enzymes such as hemB or hemG reduced the relative mRNA expression levels of other enzymes. Candidates for the components of the push and pull strategy are commonly selected based on many studies on the related enzymes but there were a few articles on the biliverdin biosynthesis pathway in C. glutamicum. Therefore, we primally introduced in vitro thermodynamic analysis of all enzymes that were related to the pathway [37, 38]. 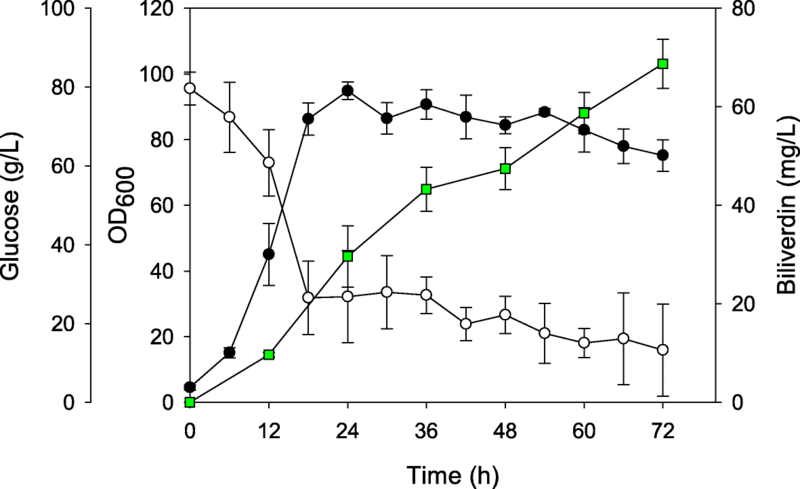 This analysis provided information on the thermodynamic stability of enzymes using the calculation of Gibbs free energy. 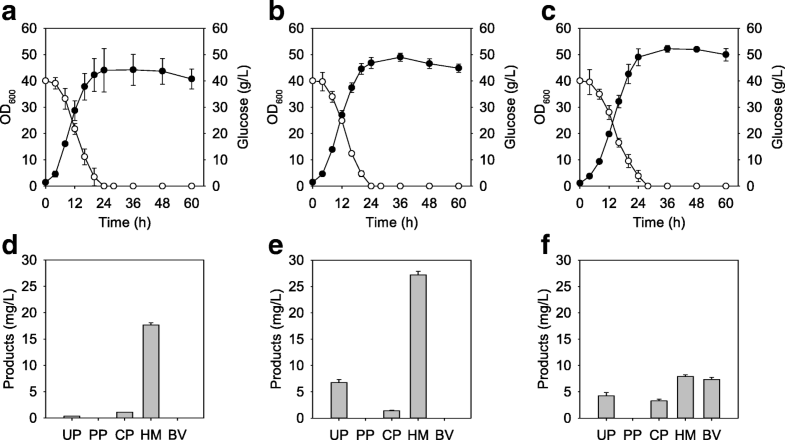 Enzymes with higher Gibbs free energies are thermodynamically unfavorable and have greater possibilities to act as rate-limiting steps in pathways [39, 40]. 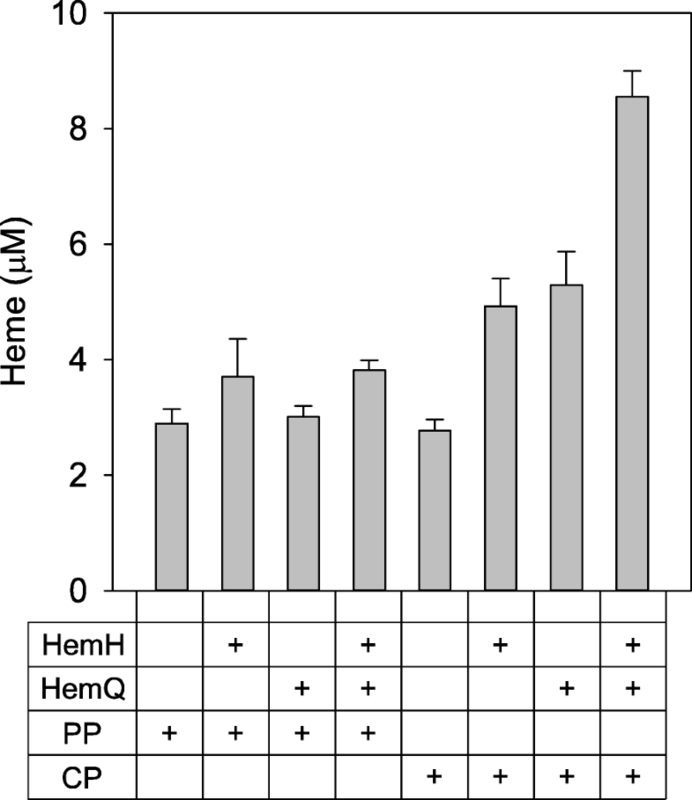 The success of the overexpression of genes based on the calculations in this study corresponded with previous studies that overexpressed hemA and hemL or hemH for heme production [41–43]. Therefore, hemH can be a tempting candidate for further studies to enhance heme production in C. glutamicum.